Internet content restrictions called geo-blocking (or regional restrictions) are increasingly being used by popular US based websites to restrict the access of people wishing to view their exclusive content. Geo-blocking is essentially the practice of preventing Internet users from viewing digital media on certain Web sites - based on a user’s geographical location (or where they happen live in the world). Every single device connected to the internet has a unique IP (internet protocol) address. IP addresses are allocated by local internet service providers (ISPs) and they can be used to determine the geographical location of any device trying to connect to the Internet. 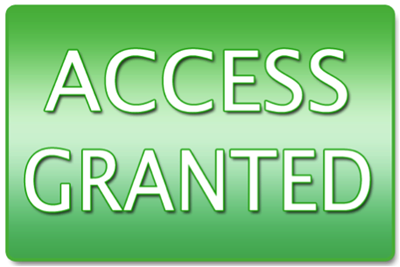 Each time you use an Internet capable device to connect to a particular website, your device sends a request to that website requesting authorization to view/stream content on that site. Your device’s IP address is also sent along with that request - so the website knows exactly where to send the requested content. Geo-blocking (or regional restrictions) which exclude International users from viewing exclusive content found on US websites like Netflix.com, Hulu.com, WWE.com, MTV.com, VH1.com, etc. are based on US websites identifying the IP address of a particular device, in order to determine whether or not that user is permitted to view their exclusive content. Therefore, you can basically bypass these regional restrictions (or Geo-blocks) by using any method which alters, masks, changes or hides your IP address when trying to access that US website. 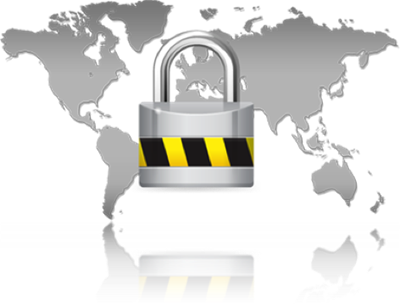 In the past, users wishing to view region restricted content would have typically used a VPN (or Virtual Private Network) in order to bypass regional restrictions set by US websites. However, VPN technology is now outdated for the purpose of streaming blocked content so you will ultimately end up with a very poor viewing/user experience if you choose to utilize the VPN method. A VPN needs to reroute all of your internet traffic via its servers in order for you to bypass regional restrictions and unblock blocked content. All your Internet traffic basically needs to be encrypted and changed just so you can unblock content from a single website - which ultimately affects the performance of the device you are using. If you use a VPN service to mask your IP address, you will definitely notice that your device will perform much slower than usual. A slow working device is obviously not ideal for streaming content in HD so therefore VPN’s are not a great choice for unblocking US websites. Smart DNS Technology is the new and more advanced method to unblock US websites and stream region blocked content. Only the information/data needed to determine your geographical location needs to be sent and rerouted through a Smart DNS Proxy server in order for you to unblock content on US websites. Therefore your Internet speed and your entire device will not be affected or operate any slower as the result of using a Smart DNS Proxy Service. Another great benefit of using a Smart DNS Proxy to unblock US websites is a Smart DNS system is compatible to be used on all your devices, including your PC, Laptop, Apple TV, iPad, Amazon Fire TV, Gaming Console, Smart Phone, Android device and most other Internet capable devices. Smart DNS Proxy can be used to unblock US websites and stream regional restricted content from any country in the world including Canada, Germany (or anywhere in Europe), South Africa, Ireland, UK, Switzerland, New Zealand, Australia, Thailand, etc. You will be able to install Smart DNS Proxy on any device – no matter which country you happen to be reading this article from. And as we have just stated above, Smart DNS Proxy is by far the best method for unblocking popular US based websites, so you can stream region restricted (or geo-blocked content) in clear HD quality. · Speed, Efficiency and Overall User Experience. Smart DNS is much faster than a VPN because a Smart DNS Proxy system only needs to re-route certain portions of your Internet traffic. Smart DNS technology allows you to unblock websites so you can stream, download or view content in clear HD quality - giving you a much better user experience. · Excellent Compatibility with All of Your Internet Capable Devices. 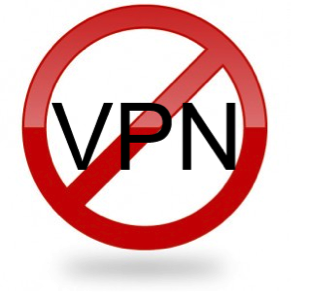 VPNs (or Virtual Private Networks) operate using a complex system to establish a single connection between your device and the restricted content you are trying to unblock. A Smart DNS Proxy does not use a complex system in order to unblock websites and establish a good connection between your device and the blocked website. This enables Smart DNS to be easily compatible with all of your devices, without affecting the normal function of that device. · Smart DNS Setup Is Simple to Install and Very Secure. Any connection made via a Smart DNS Proxy system does not require any type of complicated software installation or manual-type configuration in order for you to unblock websites and stream blocked content. · Completely Anonymous Browsing. Smart DNS Proxy systems to does not record or log a user’s activity or browser history in their proxy servers. You can rest assured that all of your browsing will be totally anonymous when using Smart DNS to unblock blocked websites. Global Stealth Inc. (www.smartdnsproxy.com) are world-class leaders when it comes to developing and providing secure global internet security, data encryption and anonymity services for Internet users world-wide. They have been creating innovative data encryption technology solutions since 1995 and their services have been used by top-ranking executives at many fortune 500 companies such as Microsoft, Apple, IBM, BP, Shell to keep sensitive data/information secure and encrypted while on the net. www.smartdnsproxy.com have servers located all around the world. 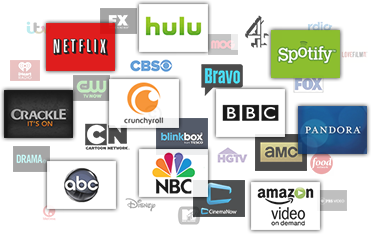 They are able to offer users of their service the ultimate viewing experience when it comes to unblocking US Websites (or other International blocked websites) so you can stream any type of digital content, from any site you want and from anywhere in the world. Smart DNS is also much faster than using outdated VPN technology to access region restricted content. This exclusive free trial for Smart DNS Proxy is only available FREE for a limited time only. So don't miss out and CLICK HERE TO SIGN UP NOW!